Please contact about the best placing of the foil for your board. There is more to it than just measuring. Once you have the placement then only go further to step 2. 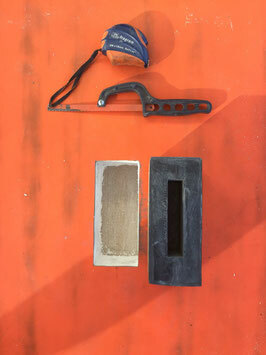 Draw the outline of the supplied KF Box with foam on the bottom immediately ahead of your back foot position. 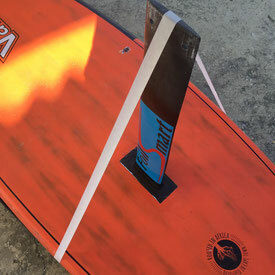 Using a hacksaw blade gently cut the bottom of your board along the marked outline of the box without cutting through the top deck layer of your board. Remove the bottom skin and foam inside the marked area. Using a tape measure or ruler, measure the front and back depth of the hole and transfer this to the KF box less 5mm. Join these marks right around the Kf box and cut along the line with a hacksaw . The Kf box should now drop into the hole and be 5 mm recessed into the board. if not then trim more away from the box or board side depending on what the obstruction is. 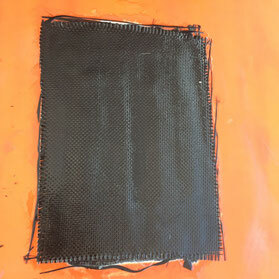 Cut about 5-7 layers of 200gsm glass fibre or carbon fibre the same size as the hole. Using a slow cure epoxy lay these layers of glass or carbon in the hole on to the inside of the deck of the board. 9. Mix slow cure epoxy with glass bubbles and spread this buttery mix inside the hole on all sides. 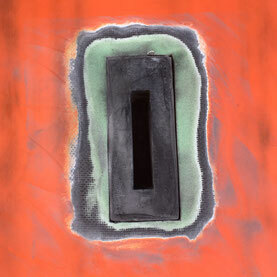 Slide the box in and let the excess epoxy ooze out. 10. With the mast inserted in the KF box set it perpendicular to the board and use masking tape to keep it steady. 11.Wipe of excess epoxy mix and leave to set overnight at about 25 deg C.
12. The next day grind or sand the surrounding surface of the boards bottom to allow a good bond to the bottom of the board with about 4-6 layers of 200gsm glass or carbon fibre. 13. Lay 4 to 6 ever increasing in size layers of 200gsm glass or carbon with epoxy. 14. Once the epoxy is set hard enough then use a sharp knife to cut along the inside edge of the Kf Box to remove the glass or carbon that is covering the Kf box hole. 15. Fair with epoxy and glass bubbles. 16. Sand and paint when epoxy has set hard. 17. Drill two 9mm holes for the mounting screws from the bottom to the deck. 18. Ensure the KF box is clean then fit the foil mast and tighten screws to check all is good. 19. Time to Fly Now!